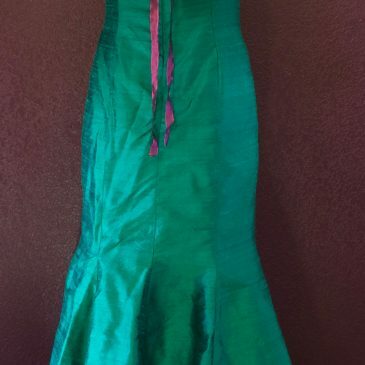 Green Envy made of Silk Duponi from India, with hand dyed silk pink ribbon. Hand embroidered flower using a vintage pattern. Available for sale and photo shoots.